We are planning to butcher one of our hogs to smoke. Will it be big enough for this many people? How many side dishes should we serve? What type bbq sauce should we have available? The future mother-in-law conducted a survey about bbq sauce and there was a resounding winner! I’m not going to mention the name of it, but it’s sold in just about every store around here. I went to our local membership store today to pick up the last remaining items that needed to be purchased. “This” bbq sauce was on the list. While I was meandering thru the store, there was a lady that had a stand set up to try her bbq sauce. It was developed by her and her husband and they are trying to reach customers through “sample marketing”. Well, let me tell you, this bbq sauce was AMAZING! It was tangy (vinegar), sweet (ketchup), and spicy which is important in my opinion. I brought home a quart with a website address to order enough for the wedding! My God is amazing! Even in the smallest details! I’m rambling…sorry! Once I discovered this treasure, I decided everyone (the family) needed to try it. 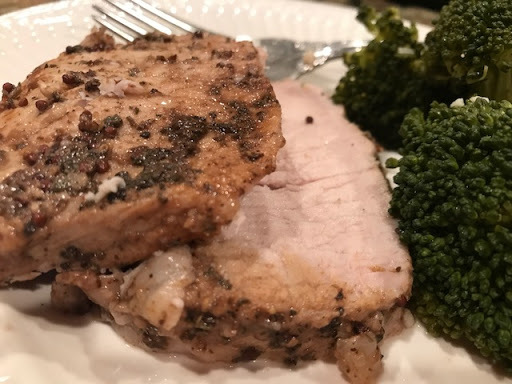 Since we are having pork at the reception, I bought a pork tenderloin. 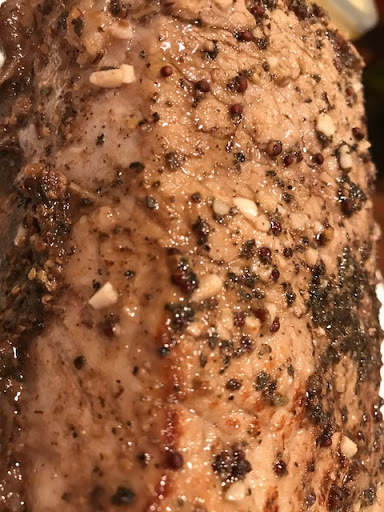 However, I wasn’t going to smoke this tenderloin and felt it needed to be jazzed up a bit while it cooked, and since I’ve purchased my Instant Pot, why not use it…again?  I think you see where this post is going…………. Mix all the ingredients, except the chicken stock, into a large bowl or plastic bag. Add the tenderloin and let marinate until ready to cook. In the Instant Pot, press the saute button. Add 1-2 teaspoons oil and saute the tenderloin until lightly browned. Turn off the Instant Pot. Add the marinade mixture and chicken stock to the Instant Pot. Place the tenderloin on top. Close the lid and set the pressure valve to closed. Set timer for 7 minutes. When the timer expires, let the Instant Pot naturally release (NPR) for at least 10 minutes for medium well, then quick release (QR). This was delicious right out of the IP, but I had to add a little of the bbq sauce to it, because drinking the sauce out of a glass would have looked funny.